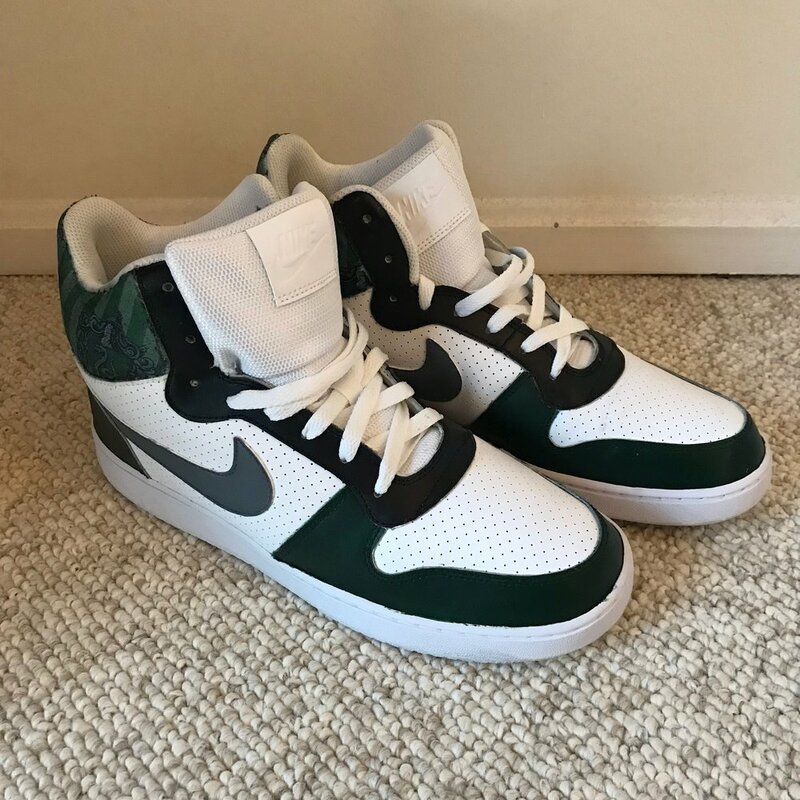 I always loved fashion, but I didn't get into sneaker culture until my boyfriend took me to a sneaker re-sale store in Richmond, VA. As soon as I saw the array of styles and designs, I was hooked. It wasn't necessarily the style that drew me in as much as the fanaticism. People are willing to not only spend some serious cash on sneakers, but also study up and follow their favorite brands for updates and releases. I ended up studying the trends and used what I learned to make my own custom creations. Most Recent Creation: The Air of Slytherin. 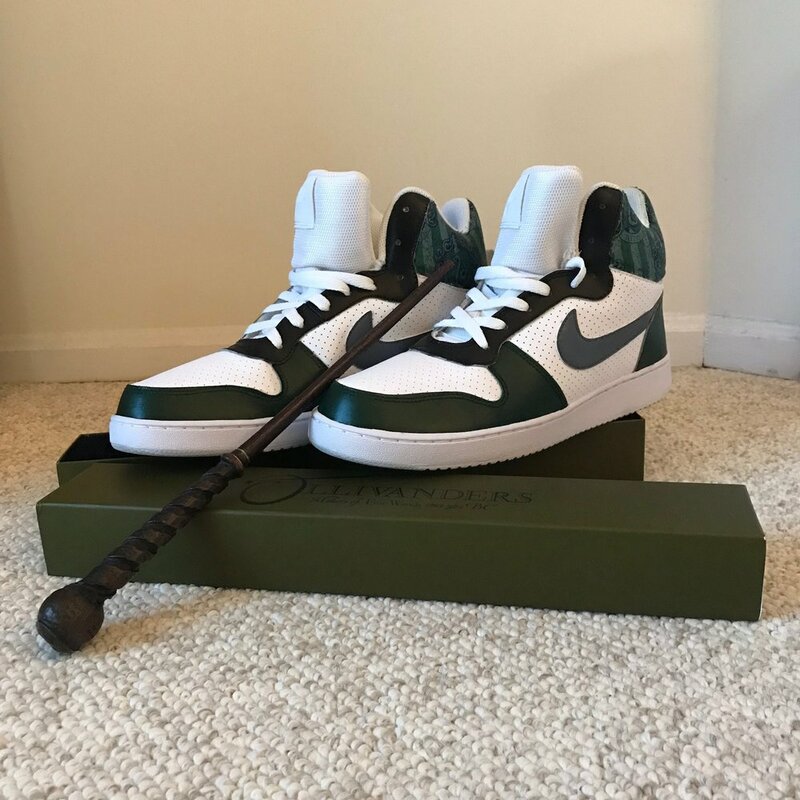 Harry Potter is big, and nothing screams "Harry Potter fan" more than a pair of sneakers customized for the wearers specific house. For this pair, I wanted to keep a timeless look while still incorporating the Slytherin colors and banner. The end result was something classic, but with a little personality - much like Hogwarts itself. I'm currently working on a pair of sneakers commissioned by a friend to wear during Pride festival. Pictures and description will be updated as available.